In Mississippi a Realtor® can represent a Buyer or Seller and owes the “client” a fiduciary duty of Confidentiality, Obedience, Loyalty, Disclosure, Accountability and Care. 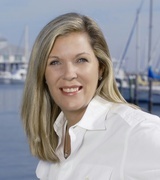 Kelly Creely is a REALTOR® - Associate Broker that services the Mississippi Gulf Coast. Before you decide to For Sale By Owner or ‘FSBO’ your home or property, Kelly highly recommends that you consider the following reasons that this might not be a good idea for a large majority of sellers. Selling your home yourself may not be the money-saving solution that you think it will be. A real estate professional has the resources to maximize the amount of money you receive when you sell your property. Furthermore, a real estate professional can secure an accepted offer quicker, and expedite getting the sale closed in a timely manner. According to the National Association of Realtors, FSBO’s accounted for 9% of home sales in 2013. The average FSBO home sale amounted to $184,000. The average real estate agent assisted sale amounted to $230,000. There are five primary reasons that the ‘Do It Yourself’ approach to selling a home is not a good idea. Price – The price is the important component to getting your sold. It is essential that the price be set at the correct level. If the price is set too high, your home will sit on the market for a very long time and will become what is called a ‘stale’ listing. If the price is too low, you will lose money. An experienced real estate agent will know the ins and outs of the market all over the Mississippi Gulf Coast.And, the agent will know how to price based on a comparative market analysis.The agent will be able to justify the price of your home to potential buyers. In addition to price, a Realtor’s services include assisting in inspections, appraisals, comparative market analysis, managing closing costs, suggesting an experienced act of sale closing agent, and if necessary, recommending mortgage lenders and insurance professionals to potential buyers. Negotiation - The sale of your home is a substantial business transaction. And, there are three very significant negotiations within the sales process. These negotiations include the initial offer and then the counter offer. There is also the post-offer period which includes that includes inspections and possible requests for pricing concessions. A skilled real estate professional can provide objective negotiation skills on behalf of the seller during the course of this sales process. Exposure – As a seller, it is to your advantage to market your property to gain maximum exposure which will introduce your property to the largest number of potential buyers. A seasoned real estate professional will be in a position to prepare all of the needed marketing materials, establish an Internet marketing strategy that includes the Multiple Listing Service (MLS) host open houses, and will regularly be in contact with other real estate professional who may have an interested buyer of your home. In fact, 92% of home buyers search over the Internet for a home.Only 28% look at print newspaper ads.Do you have an Internet marketing strategy to promote the sale of your home?The days of selling a home by putting up a yard sign, and putting an ad in the local newspaper are gone.Only 9% of sales result from a yard sign, and a meager 1% from the local newspaper.In addition, the paperwork involved in selling and buying a home has increased dramatically to keep pace with mandatory disclosure regulations.These are some of the reasons that the percentage of folks who are pursuing For Sale By Owner has plummeted from 19% to 9% over the past 25 years. Buyer perceptions – The overwhelming majority of potential buyers will be represented by an agent that represents them exclusively. A FSBO can frequently deter those home buyer agents who prefer to work with another real estate professional. 5. A smooth sales process can be achieved working with a professional real estate agent who has the experience to manage the entire sales process in an efficient manner. A real estate professional an assist if there are financing problems, dealing with a buyers complaints or objections directly, keeping the closing process on schedule, and facilitate the contracts and escrow to a successful and smooth act of sale. In Mississippi, a Realtor® can represent a Buyer or Seller and the realtor has a fiduciary responsibility to provide the ‘client’ Confidentiality, Obedience, Loyalty, Disclosure, Accountability and Care. Retaining a real estate professional is the smartest and easiest way to sell your home. MAXIMIZE YOUR REAL ESTATE INVESTMENT RETURN! DO NOT FOR SALE BY OWNER (FSBO). Let a qualified, licensed real estate professional walk you through this time consuming process. Kelly Creely is a Mississippi Licensed REALTOR®, Broker, and she is also licensed to practice law in Mississippi, Louisiana, and Colorado. For more details, call Kelly Creely, Fidelis Realty – Salvas Properties, LLC (228) 233-8975 or visit www.kellyfsbo.com. Request a copy of the NON-EXCLUSIVE LISTING AGREEMENT. Get maximum exposure by allowing Kelly to place your property into the MLS and advertise your listing at Kelly’s own expense. • If you are represented by a Broker or REALTOR® please contact that Professional before contacting me. Also this is an ad for Real Estate listings in Mississippi only and is not intended to give legal advice in any fashion.